Haikou Hainan Island is part of China, so your single-entry visa for China is also valid for Haikou Hainan Island. For example, you got single entry visa to China and entered China in Beijing. From Beijing, you could fly to Haikou, no request for visa. Then you could also travel back to Beijing or any other cities on Mainland China, no request for visa. Haikou Hainan Island is open to the whole world. Visitors who wish to stay within Haikou Hainan Island for 15 days on business or pleasure from countries and regions with diplomatic or official relations with China can obtain a travel visa or landing visa upon arrival at the ports Haikou, the capital city of Haikou Hainan Island, and Haikou. Visitors wishing to stay more than 15 days can apply for an extension to their visa with appropriate reasons supplied to authorities. But the landing visa is only valid for Hainan Island. If you wish to visit other part of China, you have to apply for visa at the local authorities. USA, FRANCE, and middle East Countries including Iran, Turkey, Iraq, Saudi Arabia, Yemen, Syria, Israel, Jordan, United Arab Emirates, Lebanon, Kuwait, Oman, Qatar, Bahrain Starting from August. 16th, 2010, 5 visitors traveling together from the following 26 countries don’t need visa to visit Hainan Island: South Korea, Japan, Russia Federation, Malaysia, USA, Singapore, Germany, Thailand, UK, Canada, France, Australia, Indonesia, Sweden, Italy, Netherlands, Spain, Switzerland, Austria, Philippines, New Zealand, Finland, Demark, Norway, Ukraine and Kazakhstan. It’s the first foreign visa waiver program to be implemented by the Chinese government. 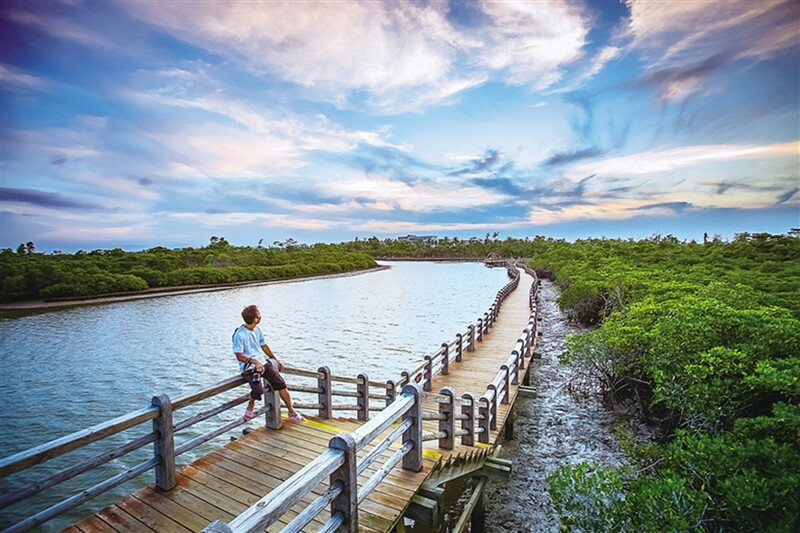 The Hainan provincial government has unveiled new regulations to regulate and manage visa waivers for foreign tour groups visiting the popular holiday destination. The policy highlights three benefits for visiting tour groups. Tour groups from 26 countries can now obtain the waiver through local travel agencies. Visitors from Taiwan can apply for the visa endorsement at entry ports to the mainland. The new regulations require travel agencies to provide information to government departments, including the details of travelers including name, birthday, nationality, passport no. and accommodation addresses as well as inbound and outbound travel details. Mandarin is Haikou’s official language. In most 4 and 5 star resorts, the management and staff can communicate in English. But don’t expect any staff in a department store, local restaurant or shopping mall to understand English. No drivers understand English. So we suggest that you get cards for your destinations like a restaurant or a supermarket so that you could show the taxi driver. If you don’t book airport pick up, please make sure that you have a copy of the hotel/resort address in Chinese. No taxi drivers could understand any English. Cash is always the most popular way to make payment and it is the easiest way. You could pay by credit card in 4-5 star hotels. For dining outside the hotels, renting a car, airline ticket purchasing and shopping, cash payments are requisite. ATM is very popular now in Haikou Hainan Island. You could draw cash from your debit card or credit card. The daily amount you could draw is limited. If you wish to draw cash from your credit card in a bank office or get exchanges, a copy of your passport is a must. Exchange service is available in most of the hotels and all banks. The exchange rate fluctuates with international market conditions. Please note you can change money only in the hotels you stay and you need to show your passport. And the kind of changeable currency is limited. Also, and extremely important – Chinese banks are extremely fussy about the condition of any currency. They refuse to accept any foreign currency that is even very slightly torn, marked, written on, or defaced in any way. Any sticky tape on notes will also result in them being refused for exchange. So do ensure that you only bring pristine foreign currency paper notes. To know more about the exchange rate, please check out from Bank of China. In most hotels, you could exchange the following currency into RMB: USD, EURO, GBP, HKD, SGD, JPY, AUD, CAD, DKK. Haikou has no VAT (value added tax). All the rates quoted include tax except a local tax of 2-11 per guest per night (varying according to the rating of hotels). This local tax may be included in rates quotes – but always request a written or email confirmation. Keeping safe in Haikou is simple. Just follow the same common sense rules that you would follow anywhere. Lock your car and keep your valuables within sight and reach. Use the safe box in your room or at the reception in the hotels. Contact the Assistant Manager at your hotel anytime you need assistance. Dial 110 for police, 119 for fire and 120 for ambulance. In Haikou Hainan Island, ocean safety is very important. Most of the resorts will advise guests by flags with different colors. If advised not to swim, please do not go. Please note that the hotels are not providing a safe guard, so swimming, as in most places around the world, is at your own risk. Remember, whenever there is an emergency, please call the assistant manager of the hotel where you stay. Don’t call the emergency center as they don’t understand English. Internet access or connection is not a problem in Haikou Hainan Island. Broadband is available in most hotels and resorts. Some of them offer free, some of them charge. Some hotels even provide computer in the room or wireless internet access in the lobby. If this is essential for your stay in Haikou Hainan Island, please check with your selected hotel before confirming your reservation. Internet café is still hard to find. If you stay in Dadonghai Beach, please visit SUNNY Haikou FAMILY INN for any local information you need. They speak good English.